Some cities and towns are very competitive from a commercial real estate perspective. If you are to gain a reasonable level of market share as a broker or agent you will need a plan of action and a strategy of approach. As tough as things may seem, there will always be clients to serve and listings to find. That being said, a good degree of focus and directed action will help pull the right property opportunities from the location towards you. A critical question should be asked here. What are the ‘right property opportunities for you? You really must know what you are chasing when it comes to real estate business. 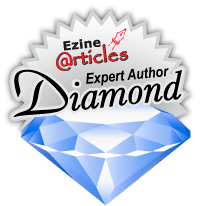 When you define those elements correctly you can build your marketing and prospecting plan. What do you know a lot about now in property activity? Why should someone use you as a property expert? What image or leverage do you have now that you can build on locally? What are the competitors doing that could impact your efforts and market share? From these questions you can set up a good plan of attack to find and win some new business. Action taken at a personal level from that point onward is easier to create, track, and tune. Current market conditions – Understand what the current property market is doing now. Look at the trends so you know where you should be focusing your prospecting activities. Look for the active market segments, and dig into them. Future supply and demand – The levels of economic activity for the town or city will tell you where the changes are likely to happen with supply and demand. Those shifts will help you decide whether you should be prospecting sellers, buyers, tenants, or business owners. Current property owners – On a street by street basis work through the location or your city and suburb to understand who the property owners are and where the good quality properties are located. Always direct your efforts on the side of established property owners and quality properties. A good listing will always drive better levels of enquiry your way. Local business owners – Businesses need property to operate from. On that basis your database and contact processes with local business owners will be very beneficial over the long term. Exclusive listing stock – Every listing that you chase should be on an exclusive basis. When you control the listing you control the enquiry, the inspections, and the negotiation. Practice your listing presentations and prospecting calls for that very focus. 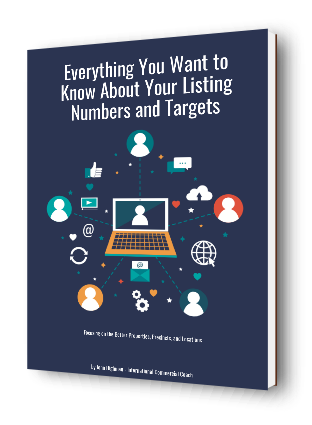 Control your listing stock and your real estate business will get stronger. Marketing efforts and expenditure – How can you market yourself locally? Create a plan of marketing approach that allows you to put out a clear marketing message across your region. You should be spreading the word about the value and experience that you can provide to anyone needing property help. Database – Make your database the most important part of your business day. Call lots of people from the local area in a logical ongoing way. Ask questions about current property needs and challenges. So you can make headway in any commercial property market. Your plans focus, and actions will help you to move to the higher levels of your commercial real estate industry. Start practicing and improving your skills and efforts as a broker, and do that every day. You can get plenty of tips to build your commercial real estate brokerage business in our ‘Snapshot’ eCourse right here.